Grammy winner, Switchfoot, will begin their North American tour next month in Kahului, Hawaii. 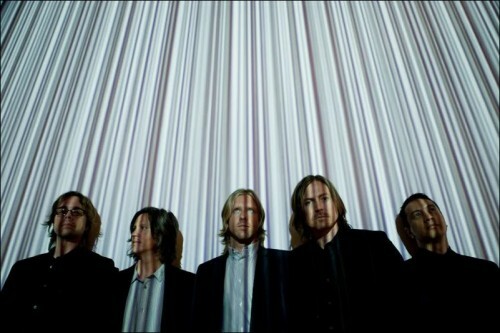 Pre-sale tickets for members of the band’s fan club, Friends of the Foot, can be found on their website Switchfoot.com. On March 20, two days before their tour, you can catch the band at the NBC SounDiego + Living Social present “An Evening with Switchfoot at La Jolla Playhouse” event. The group and producer Neal Avron will discuss the making of their latest album, Vice Verses (Atlantic Records), and there will also be a Q&A and meet-and-greet session. Tickets will be available on February 22 exclusively through LivingSocial.com. Switchfoot will also release a limited edition CD entitled Vice Re-Verses on Record Store Day, April 21. The EP will include remixes of songs from Vice Verses by Paper Route, Owl City’s Adam Young, Photek and Darren King. A digital version of Vice Re-Verses will be released on May 1 and will feature a remix of the band’s new single, Afterlife by the winner of the Switchfoot Remix Contest, which is going on now at TalentHouse.com/remix-for-switchfoot and sponsored by Ultimate Ears.